During the summer season, or even when at a college or gym, a bottle comes in handy. You can easily carry juice, water, and other drinks in a bottle with you. However, the problem with most of the bottles is that they are not able to maintain the temperature of the drinks and they are difficult to drink with. Amongst the different bottles available in the market, Best Bottle Ever is the best. It is not just the name that makes it the best bottle ever but its features. Stainless Steel Body – The body of the Best Bottle Ever is made with stainless steel of top-notch quality. It is the best stainless steel used i.e. 18/8 that provides the strength to the bottle and keeps it safe from potential dents and damages. Double Wall Vacuum Insulation – All the sides of this bottle are double wall vacuum insulated that helps in keeping the beverages cold and hot, as the case may be. The Best Bottle Ever is capable of keeping the cold beverages chilled for 24 hours and hot beverages warm for 12 hours. The vacuum insulation also keeps the body of the bottle from sweating. Multi-Cap Options – Unlike other bottles, the Best Bottle Ever comes a multiple cap that can be used according to the requirements. There are a total of 4 features available including Spray, Straw, Spout, and Hanger. Each for a different purpose, bottle also comes with a red flat cap. 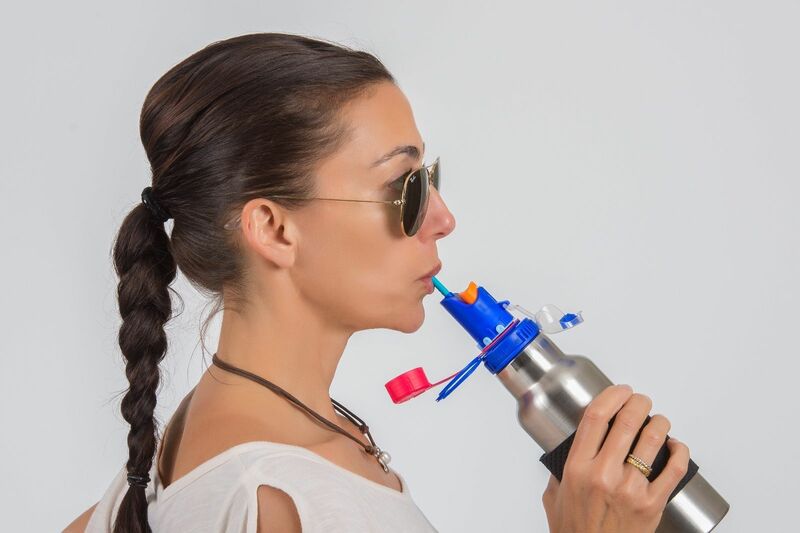 The straw is integrated that pulls up with your teeth and the spout makes high flow rate possible without making you swallow more air. The hangers make it easy for you to hang the bottle around the waist and the spray allows you to clean your glasses, golf ball and other items or even cool down your face. Odor Free – The body of the bottle is made with the best steel and PP material without any BPA or dangerous chemicals. There is no taste of plastic or odor as it is very common in other water and sports bottles. These bottles are eco-friendly and do not cause any harm to the health or the environment. Wide Mouth – The Best Bottle Ever is the best in every way possible. The mouth of the bottle is also quite wide that makes it very easy to clean the bottle or add some ice cubes. These are some of the best features of the Best Bottle Ever. All these features cannot be found in any other bottle which is why the name of the bottle compliments its own self. This bottle can make your life easy and enable you to stay hydrated. Also check out the additional and replacement parts to make the bottle your best companion.